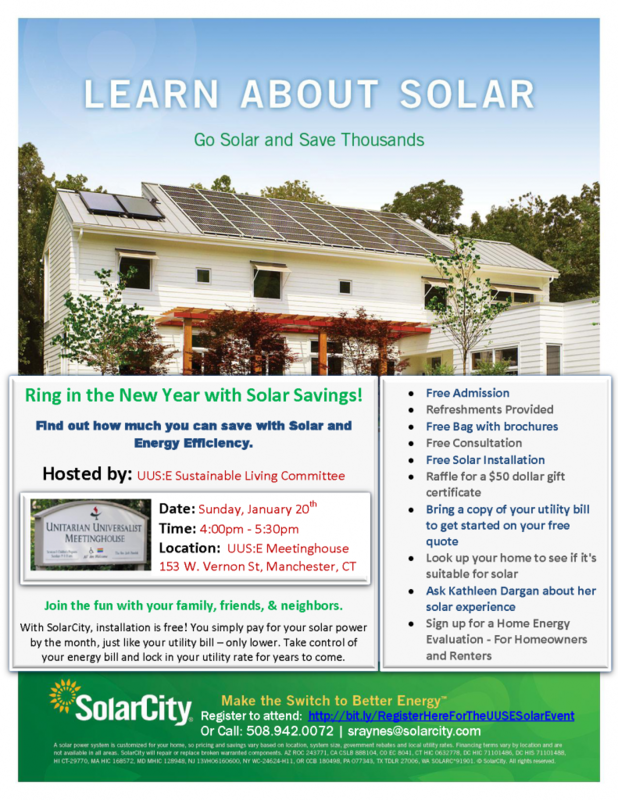 Learn how you can save with solar and energy efficiency. January 20, 4 to 5:30 PM. Please click here to register to attend.